Performance is a wide term but your performance can be improved with hypnotherapy. It can cover sports events, arts performances, exams, interviews and presentations, In order for you to perform at your best there are key aspects we will need to consider. 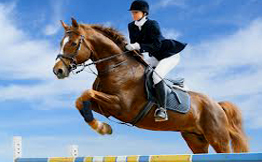 Using hypnotherapy, I have successfully enhanced the performance of musicians, presenters, students, teachers and sports professionals including horse-riders.